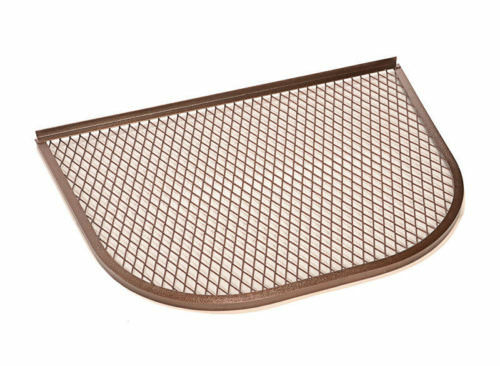 100% Steel Window Well Grate by Monarch available in 4 color options. Interested in Monarch Steel Window Well Grates? Size -- Select -- 22" x 10" 37" x 12" 32" x 16" 37" x 16" 37" x 24" 46" x 20" 37" x 36" 42" x 24" 49" x 24" 42" x 36" 49" x 36" 55" x 24" 49" x 48" 55" x 36" 61" x 24" 67" x 24" 73" x 24" 61" x 36" 67" x 36" 79" x 24" 73" x 36" 79" x 36"
100% Steel Window Well Grate by Monarch. Available in 22 sizes and 4 color options. Use the sizing chart below to find your perfect size. Steel Grate sized 22" x 10"
Steel Grate sized 37" x 12"
Steel Grate sized 32" x 16"
Steel Grate sized 37" x 16"
Steel Grate sized 37" x 24"
Steel Grate sized 46" x 20"
Steel Grate sized 37" x 36"
Steel Grate sized 42" x 24"
Steel Grate sized 49" x 24"
Steel Grate sized 42" x 36"
Steel Grate sized 49" x 36"
Steel Grate sized 55" x 24"
Steel Grate sized 49" x 48"
Steel Grate sized 55" x 36"
Steel Grate sized 61" x 24"
Steel Grate sized 67" x 24"
Steel Grate sized 73" x 24"
Steel Grate sized 61" x 36"
Steel Grate sized 67" x 36"
Steel Grate sized 79" x 24"
Steel Grate sized 73" x 36"
Steel Grate sized 79" x 36"